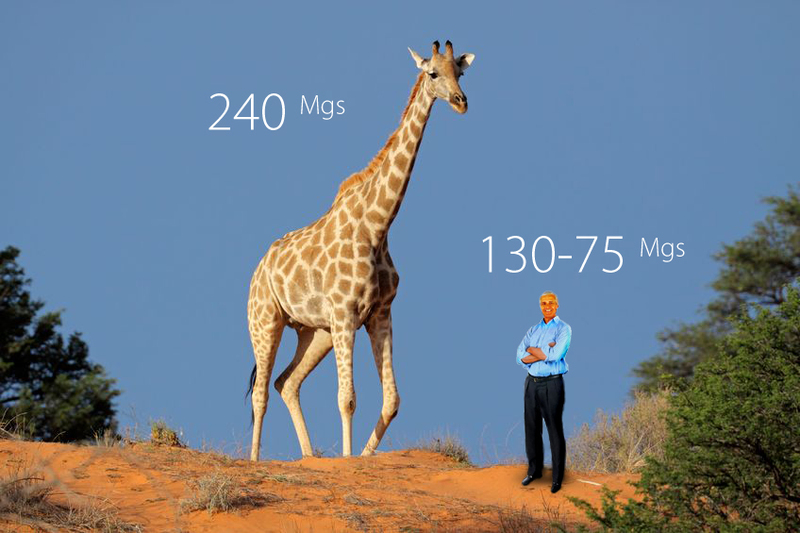 The giraffe has the highest blood pressure of all animals (about 240 mgs). That's fine for a giraffe, because the blood must be pumped all the way down to its long legs and up to its towering head. But you should aim for a blood pressure of 130/75 mm/HG or lower. If you manage to keep blood sugar and blood pressure in normal range, there is no telling how long you can live without complications. Fasting or Before a Meal - 130 is too high. Aim between 90-130. After a Meal - Below 180 is good. Over 180 is too high. Before Bed - Aim between 100-140. Over 140 is too high.